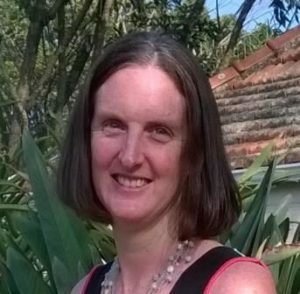 Catherine (Kate) Pringle is an environmental scientist and has also completed her masters in environmental law. She has a special interest in ecosystem services and has also been involved in numerous projects related to water and integrated environmental management. She has worked on ecosystem services projects across South Africa, Lesotho and Kenya and was part of the project team which assessed the feasibility of developing an ecosystem services trading model for the Mnweni/Cathedral Peak and Eastern Cape Drakensberg Areas. She was also co-leader of a NERC-funded project aimed at assessing the impact of the Pongolapoort dam on the provision of downstream ecosystem services and the consequent impacts on poverty. Her experience in Lesotho includes assessing the impact of climate change on ecosystem services and investigating the maintenance of ecological infrastructure to prevent sedimentation of the new Polihali dam to be constructed as part of the Lesotho Highlands Development Project. She has also provided input regarding the integration of ecosystem services into planning processes in the KwaDukuza, Uthukela and Cape Town municipalities as well as the KwaZulu-Natal stewardship programme. Her experience in the water sector ranges from ecological reserve studies to more strategic projects including the development of procedures for the determination of Resource Quality Objectives.